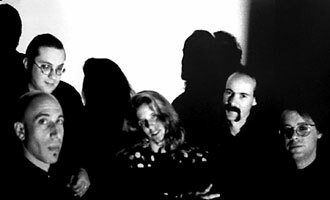 Knitting Factory, NYC, September 1990. 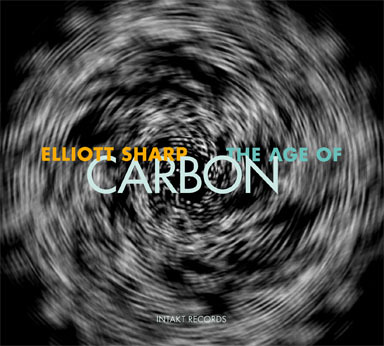 The Age of Carbon covers the period from the first full Elliott Sharp Carbon LP in 1984 through the Tocsin CD of 1991. This 3-disc collection gives a sonic overview of the band in its different iterations in those hot, dense, and fast years in New York downtown scene. 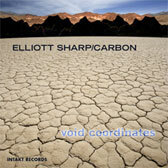 The composer and multi-instrumentalist Elliott Sharp is one of the most striking personalities of the New York music scene. 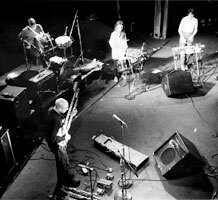 Along with John Zorn, Arto Lindsay, Bill Frisell and Marc Ribot, Sharp has been at the heart of the post 80s innovations which took improvised, composed and electronic music beyond their boundaries, to merge them with jazz, blues and rock. 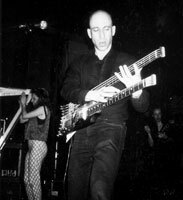 In schöner Vorwegnahme der Freestyle-Ikonen (wie etwa Naked City) amalgamierte Elliott Sharp bereits in den frühen 80er Jahren mit seiner Band Carbon die rohe Energie des Punk mit freier Improvisation, schroffen Industrial-Klängen und den komplexen Kompositionsstrukturen der Avantgarde. Die 3er-CD-Box THE AGE OF CARBON bringt die kreativen Jahre der jungen Carbon MusikerInnen wieder ans Licht und gibt einen klingenden Eindruck dieser heissen, dichten und schnellen Jahre der New Yorker Down-Town-Szene.